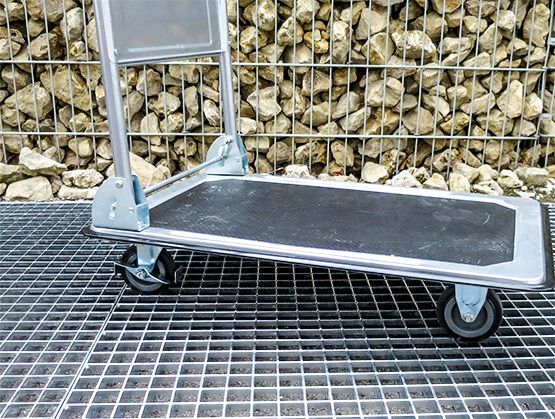 MEAFLOOR Grating mats – Safety with every every step you take! Grating mats for the toughest requirements! 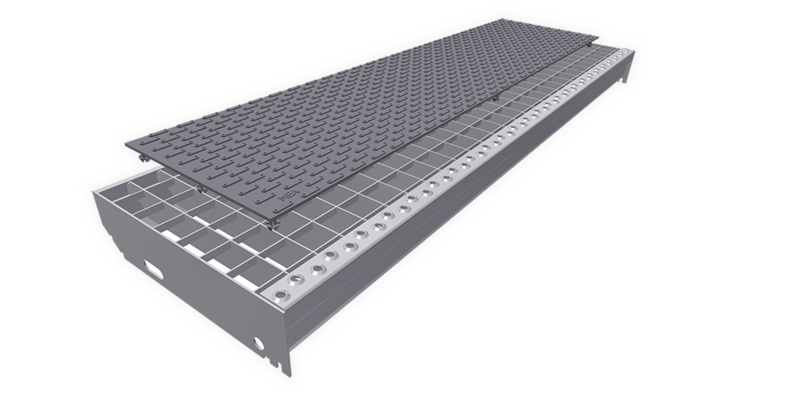 Wherever conventional gratings are a good idea, MEAFLOOR grating mats provide a great deal more safety and comfort moving forward. Thanks to MEAFLOOR, all kinds of rollers (such as on trolleys, children’s pushchairs or wheelchairs) can move around effortlessly, hardly making a sound. MEAFLOOR prevents the dizziness that can occur when walking on gratings or grated stairs. The non-slip surface makes walking a lot safer, even in high-heeled shoes and on wet surfaces. The best of all: MEAFLOOR is compatible with all standard gratings and can be installed in next to no time! Easy installation without any tools thanks to firm automated locking in the grating mesh. With MEAFLOOR you can exploit the advantages of gratings, even in areas where more comfort and safety are needed or where special requirements need to be met. In other words, any public environments where great numbers of pedestrians can be expected. 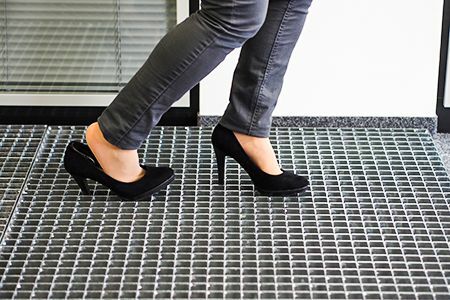 When administrative areas and buildings are connected by stairways, passages and walkways, MEAFLOOR grating mats provide outstanding walking comfort and safety. Sluggish and loud: trolleys on gratings. It's a lot smoother with MEAFLOOR. MEAFLOOR doesn’t allow gratings to become hazardous traps for high heels. Gratings as a jarring ordeal for prams and pushchairs? MEAFLOOR makes everything roll smoothly. 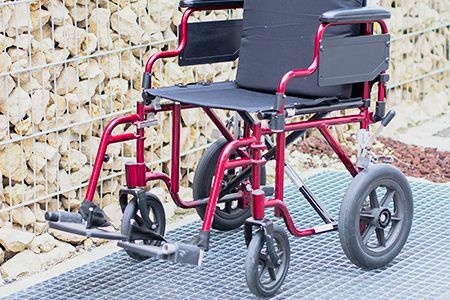 MEAFLOOR promotes accessibility for wheelchairs. Protection from falling objects – making sure things no longer get lost. Suitable for every brand; compatible with all gratings with mesh sizes 30/10 or 30/30. Gratings are very stable and flexible to use. 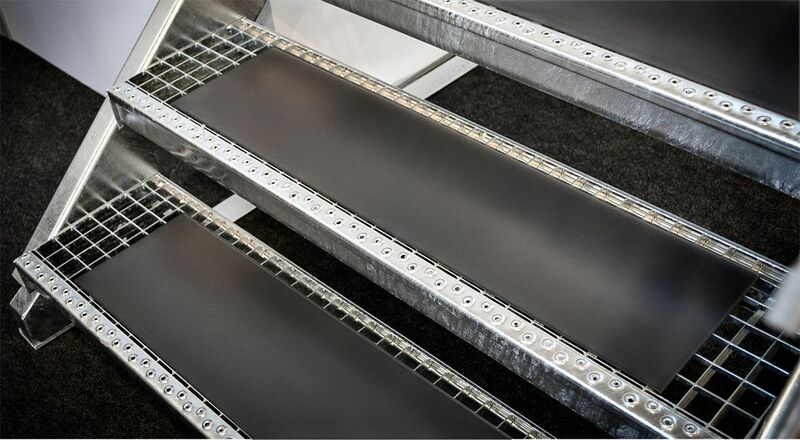 They are therefore ideal for passageways, platforms, scaffolding and stairways. However, gratings offer very little comfort in many situations. Particularly when they come into contact with small rollers such as those on children’s pushchairs, walkers or shopping trolleys they create a lot of noise and vibrations. In the worst case, the little wheels can even get caught up in the gratings. and their accessibility is therefore limited. The unobstructed view from high stairways or platforms causes many people to feel dizzy. 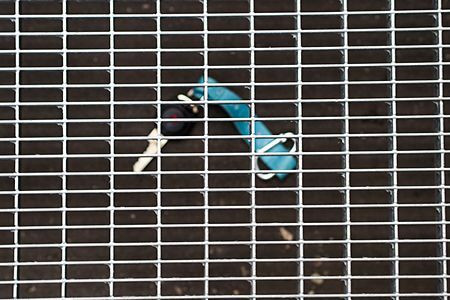 Furthermore, small objects such as keys can fall through the mesh, which means they can easily be lost forever or even cause a hazard to other people. MEAFLOOR grating mats were developed to tackle all of these challenges. In leisure areas, at events and around the house, grating mats also provide greater safety. 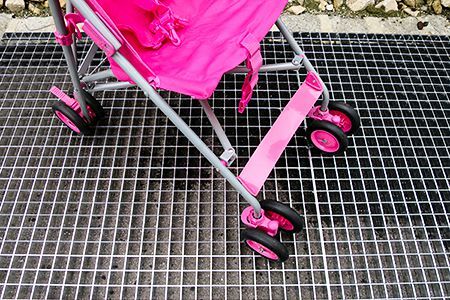 MEAFLOOR mats make it possible to walk comfortably on gratings with high-heeled shoes or barefoot and are also suitable for pushchairs. They even help to prevent slipping at ski lifts. Request a free sample or more information about MEAFLOOR grating mats. We will treat your data as confidential and not forward it to third parties.